If you want to refresh color of your nails and always feel good about it, don’t forget that different colors have different meanings. To choose the right color for your manicure is very important as it can reflect what feeling and mood you have. The nail color can also reveal your different personality. 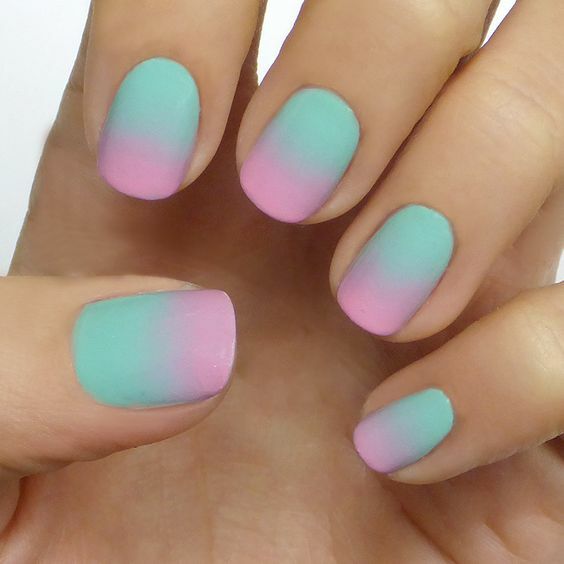 Today, we’re talking about mint green nails. As we know mint green is the color of nature and it associates with fertility, joy, success, hope and health. 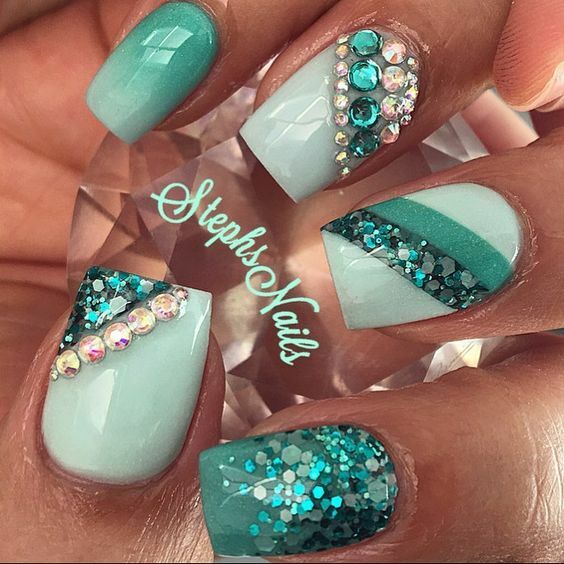 Girls who love or want to try mint green nails are usually very communicative and dynamic, they commonly try to be community-oriented. 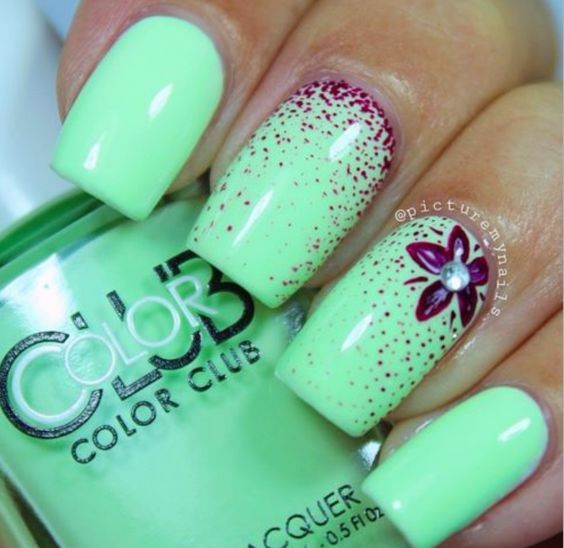 So pretty ladies here you’ll find 40 cute mint nail art ideas that can`t leave you indifferent. 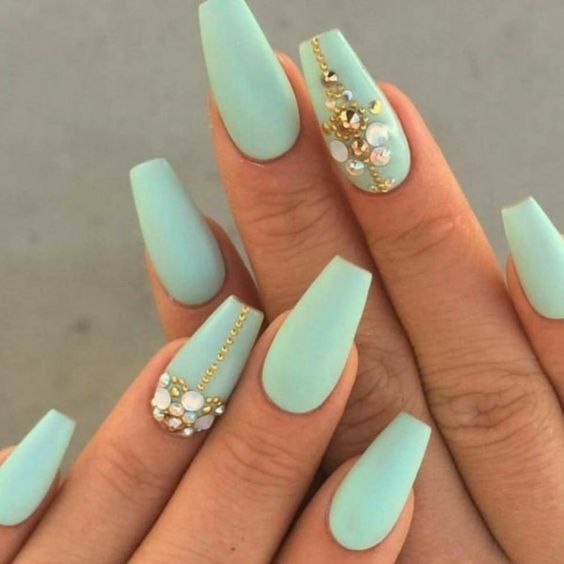 Of course, you have to know that mint green nail designs are among the most popular and demanded nail ideas using in the manicure industry in 2017. This trend is set to continue next year! Maybe you’re wondering why. The answer is rather simple. First of all, mint green is a perfect color for both everyday life and different special occasions. 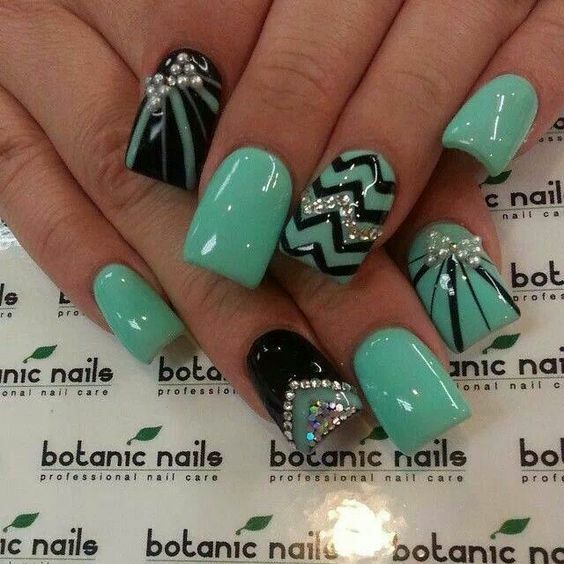 Besides, gorgeous green lovers nails always look subtle and beautiful as mint green has various shades and varieties for all tastes. 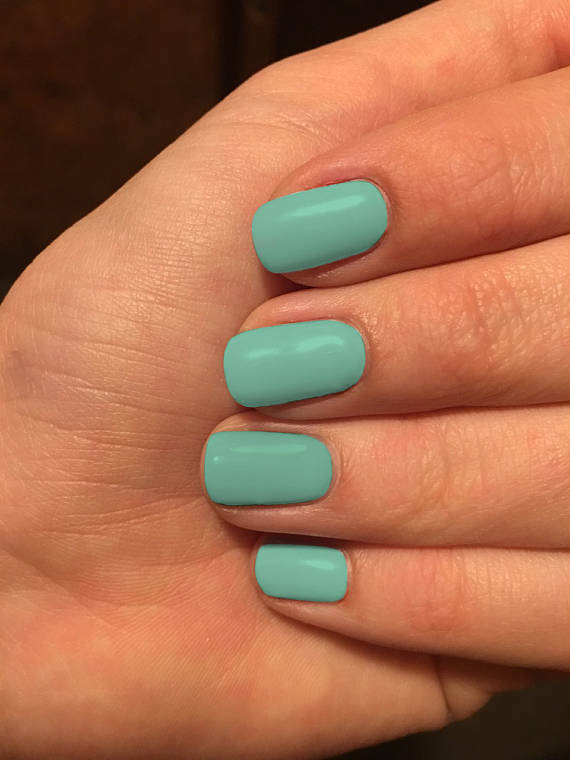 This color can be warm or cool, bright or pale. So you can choose the shade that will flatter your skin tone or outfit. And it`s easy to combine mint green color with other ones. 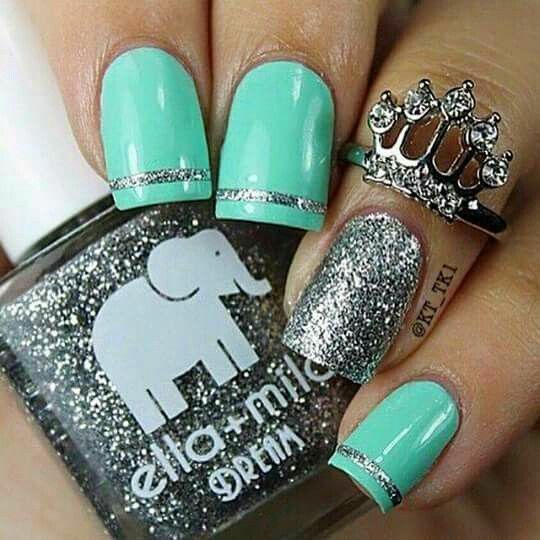 Black, white, silver and gold colors are usually used to decorate mint nails. 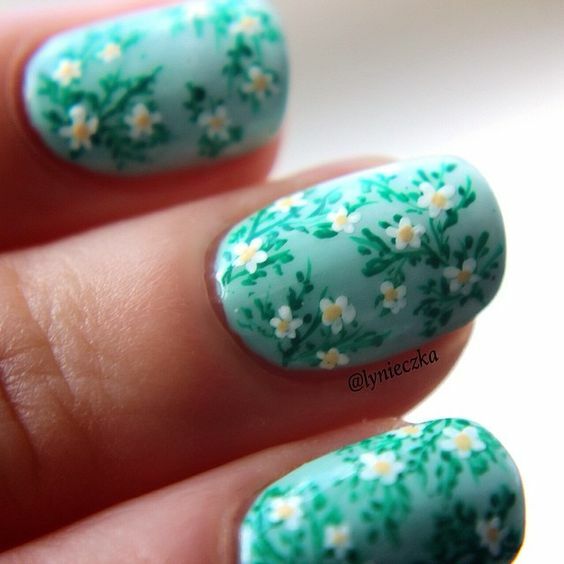 Please, don`t believe that mint green nail designs can be worn only in spring and summer! That`s nonsense! 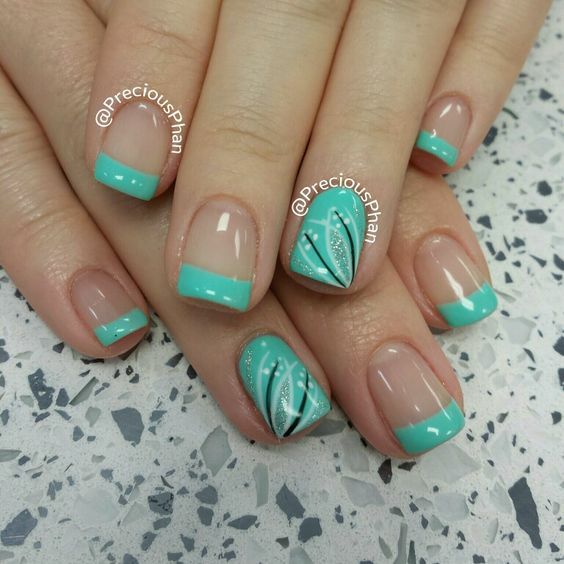 With the help of mint nails, you can easily add some freshness to your look in autumn and winter. 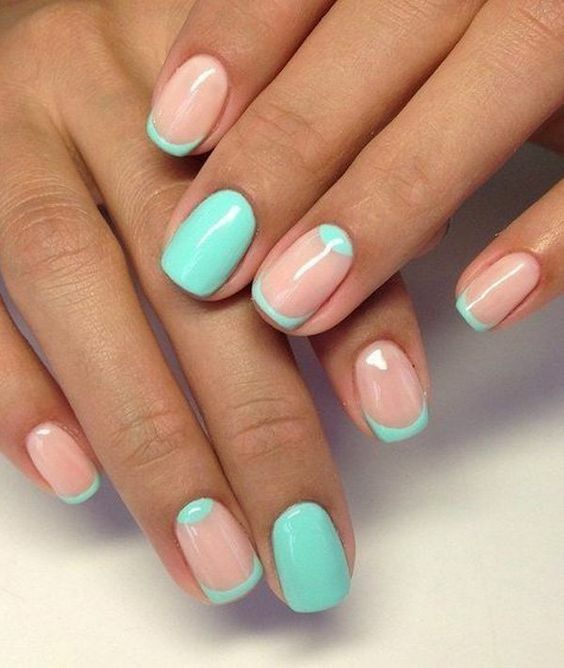 Nails covered with such a universal pastel color as mint will look attractive in all seasons. 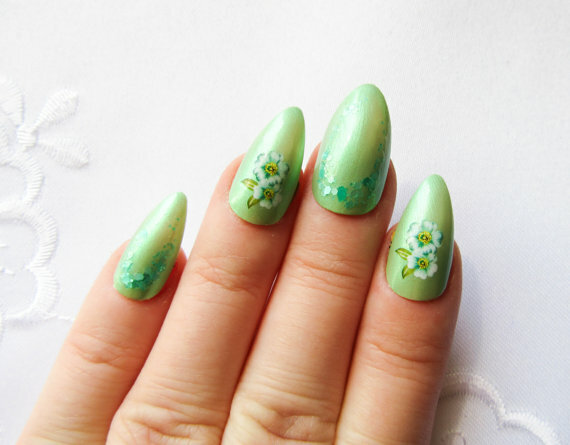 The shape and length of the nails are also unimportant as mint green suits well any nail shape and length. It doesn’t matter your nails are short or long, rounded or pointed. 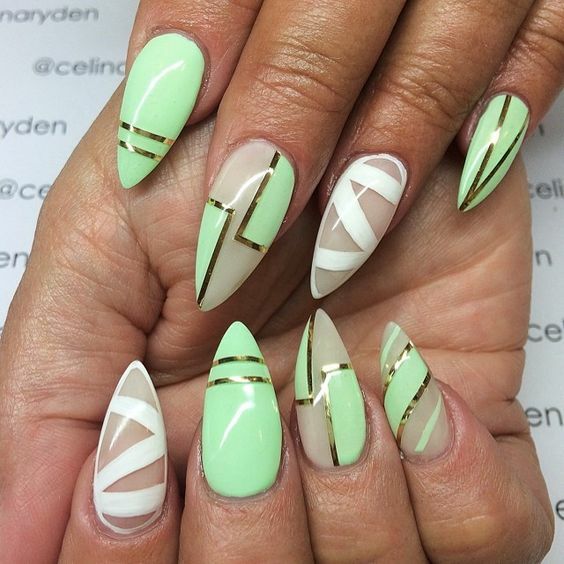 All types of nails look fascinating if they covered with mint green. 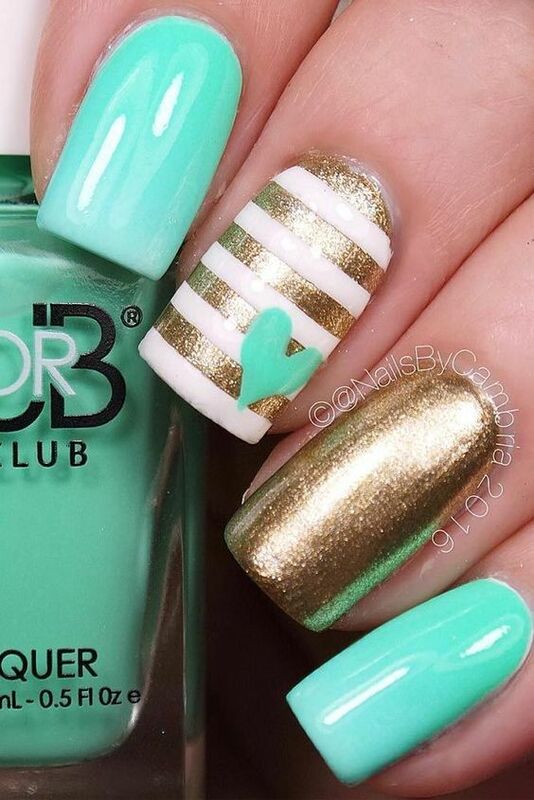 So to be on trend, take a look at our list of the most fabulous mint nail art ideas and find your ideal one. 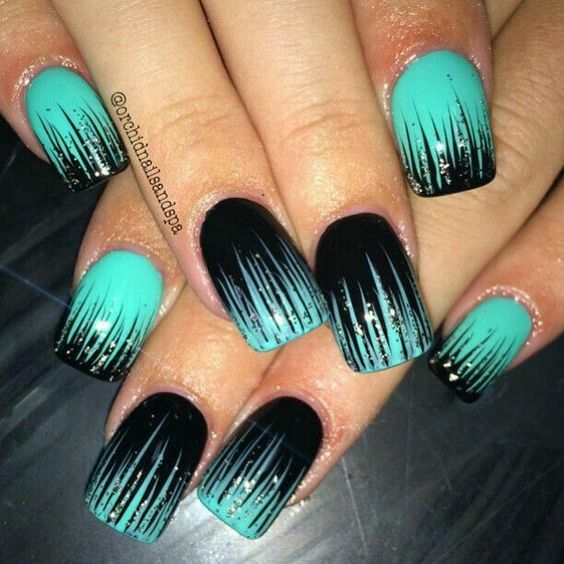 There are a great variety of ways to wear mint green nails as mint green can be a basic or primary color as well as the color for nail tips or elements like in the classic French or some abstract patterns. 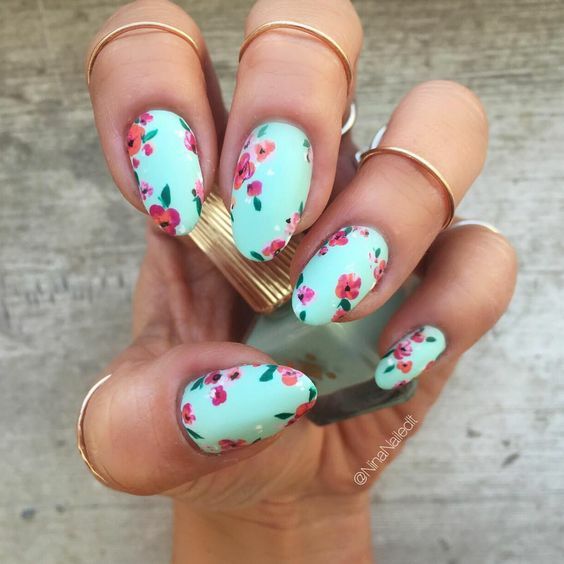 Among the most widespread mint nail art ideas are the floral designs, geometric patterns and nautical style. 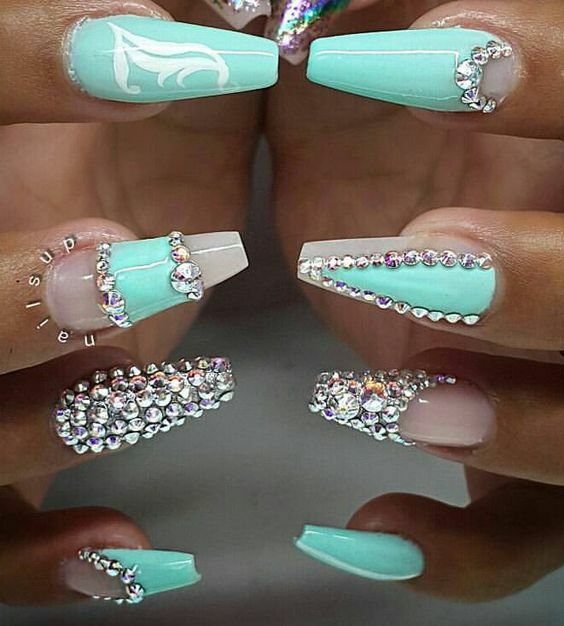 Of course, mint acrylic nails can be combined with glitters, pearls, Swarovski crystals or even rhinestones. Such designs look really creative, special and unforgettable! 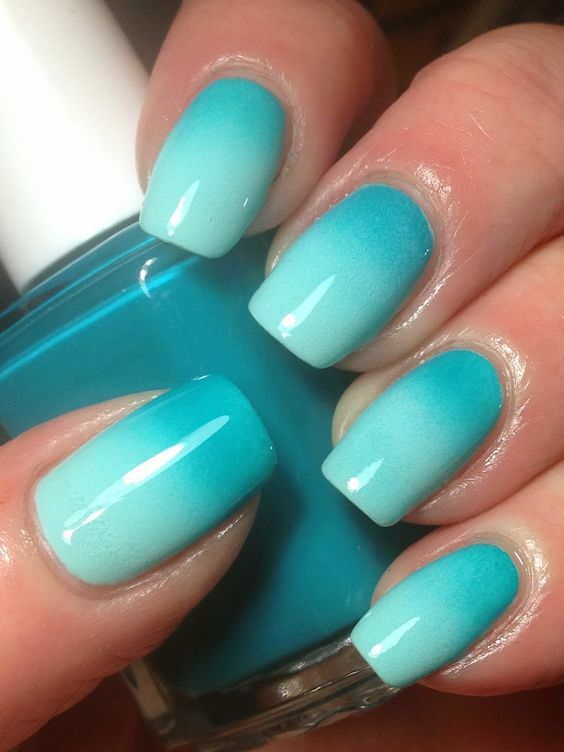 We can’t ignore so popular ombre technique when we’re talking about mint green nail designs. There are so many ways to combine mint green with other colors and shades. 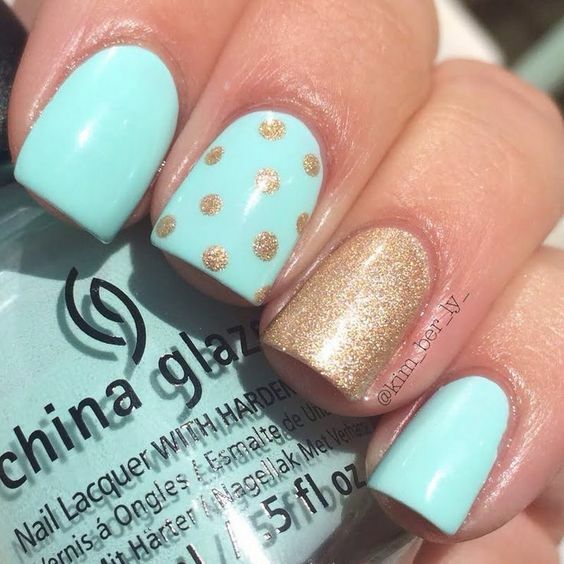 Polka dots, tribal prints and lace nail designs painted over the mint nails look interesting and elegant. Such designs are extremely simple created, but they look so solid and complicated. 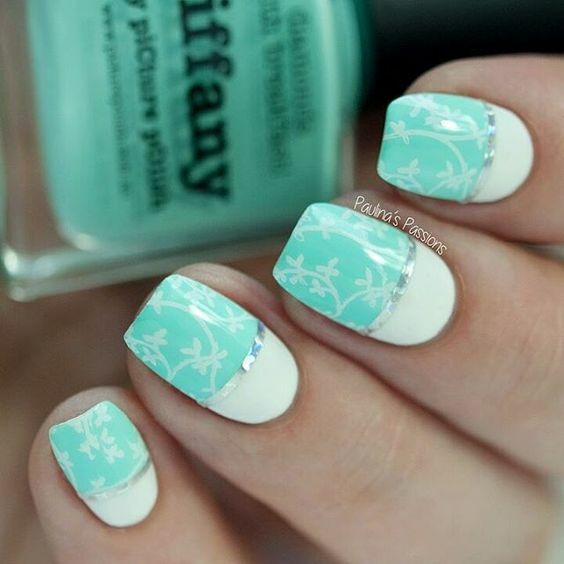 So it doesn’t really matter what mint nail design you`ll choose for your next manicure as covering your nails with this perfectly cheerful and at the same time relatively calm color you always be trendy and chic!